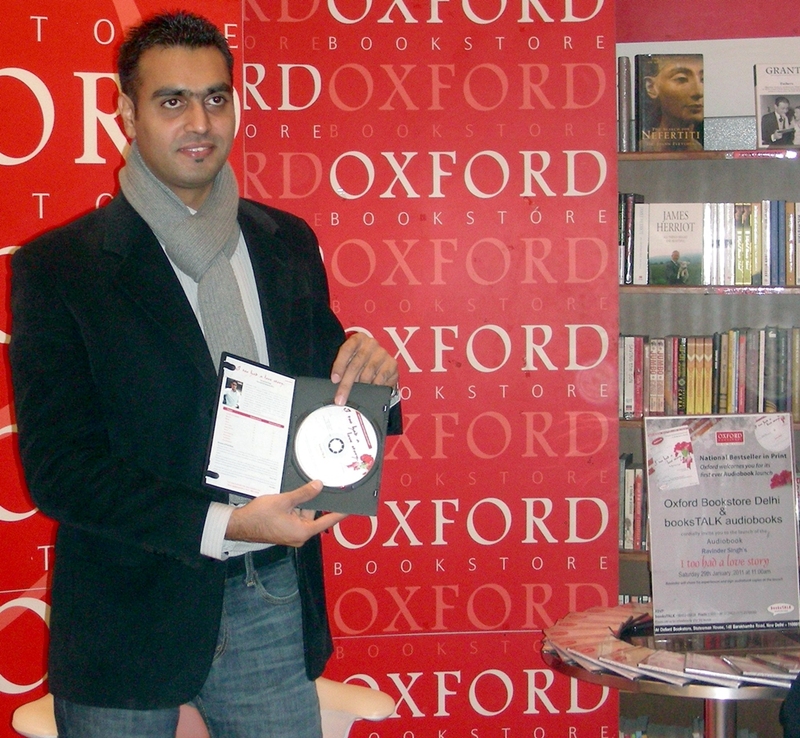 Oxford Bookstore, Delhi and books TALK audio books hosted the launch of an audio version to the bestselling novel “I too had a love story” by Ravinder Singh after its terrific response from the readers. The book is a celebrated maxim that says it is better to have loved and lost than never to have loved at all. It had won a million hearts after its maiden launch as a print and this time around, it brought the same magic through an audio version. “I too had a love story” is the narrative of the journey of meeting of two strangers through a matrimonial site to the point, where their relationship becomes the most precious gift of Almighty. The concept of an audio book is comparatively new in India but would come handy, with our lives getting busier with each day. Publishers of such audio books opined, “Llistening to an audio book during the commute is not only a great way to catch up on reading, it is also remarkably refreshing.” These audio books also have an option of using a bookmark so that you can resume listening to the book from where you last stopped. This audio version of “I too had a love story” by Ravinder Singh who is a software engineer by profession is an attempt to relate the beauty and power of true love through and engaging storytelling. The love story of Ravin and Khushi would make you believe that every love story is beautiful in own way no matter how it starts and how it ends. The audio version of “I too had a Love Story” is narrated by theatre personality Swetanshu Bora, and includes special sections narrated by Ravinder Singh. The audio book is 6hr 25mins long. And can be played on any CD player or through a mobile phone / iPod/ MP3 player. Bonus Features: Narrated by Ravinder Singh Life after Khushi and Making of a Bestseller. Ravinder Singh is a software engineer who works with a prominent IT company in India. He was brought up in a very small town of Orrisa called Burla. After spending most of his life there, he moved to Chandigarh, and now lives in Gurgaon. Owing to the nature of his work, he has visited various parts of the world and wishes to continue doing the same in future. Apart from reading and writing, the author has a keen interest in working out in the gym. Occasionally he plays snooker, his favorite game. He is crazy about punjabi music and loves dancing to its beats. ‘I too had a love story’ is his debut novel. Nikita Gupta, aged 16 Author of We Are Imperfectly Perfect book(based on Love Fiction).